As masculine Men we like to think that we have all the answers. As we grow older we grow more wise and “stuck” in our ways of thinking. The old saying “You Can’t Teach An Old Dog New Tricks” certainly applies to Men. Your Ego is a very important part of your mindset. But like all things, balance is everything. “Your ego is what you navigate the world with. It’s the clothes that you wear. The thoughts in your head. Dylan goes on to say that your Ego is your Awareness (or lack thereof). He gives a great formula for Enlarging Your Ego here. Sometimes it’s your ego that holds you back. Thinking you “know” everything and being afraid to gain new knowledge can prove to be your downfall. It is the fear of being wrong that causes us to be stuck in our boxes, or on the “plantation” as I like to call it. In today’s video I give my personal testimony to times I’ve let my ego hold me back as well as my experience with seeing Men in the manosphere and especially MGTOW (Men Going Their Own Way). The more you can get off of The Ego Plantation and adapt and grow with new information, the better set-up you will be for success. 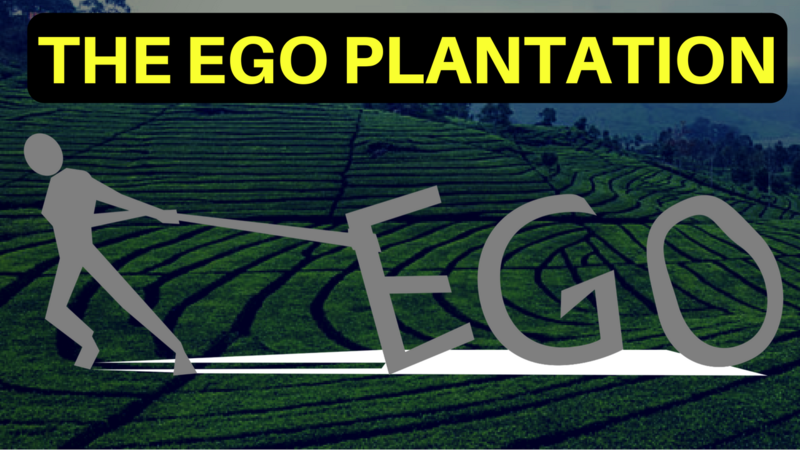 Have you ever been stuck on The Ego Plantation and if so, what steps did you take to break free of those chains holding you back?